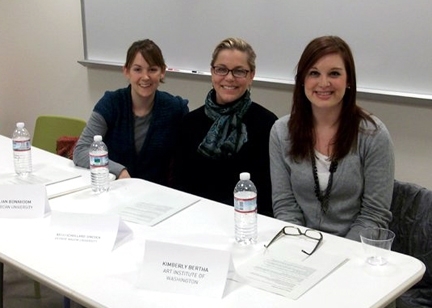 In January of 2011 myself, Jillian Bonnahoom of American University and Kimberly Bertha of the Art Institute were invited by the Artisphere coordinators to participate in a panel discussion as part of their ongoing series on Art Education. This panel discussion was specifically oriented towards those considering attending art school for the first time or for returning students. Each of us represented our respective college or university. It was an honor to represent the George Mason School of the Arts.